Many times we seek to give that different and original touch to our decor, something that becomes unique and where it will be captured our whole personality. 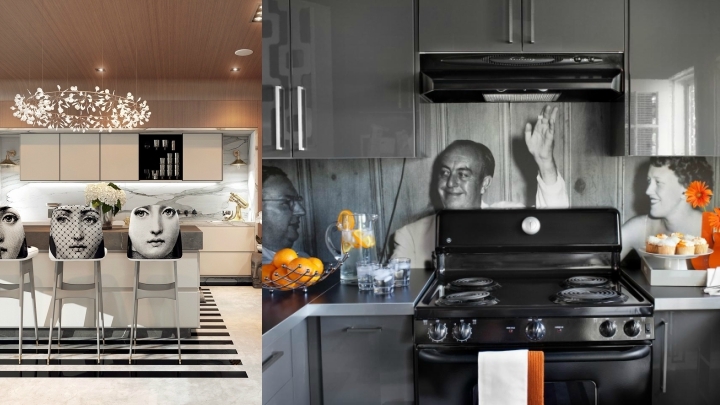 There are rooms that we may inspire more to introduce those elements that draw attention or surprised, and perhaps the kitchen is one of the forgotten, because for lack of space or because they are standardized or which seeks greater functionality places, it costs us more innovation. But this is not necessarily so. Remember that aesthetics need not be at odds with practicality. And so, we end the week with some proposals to design a kitchen with something distinctive and special, an element, or more, to turn this place unique. 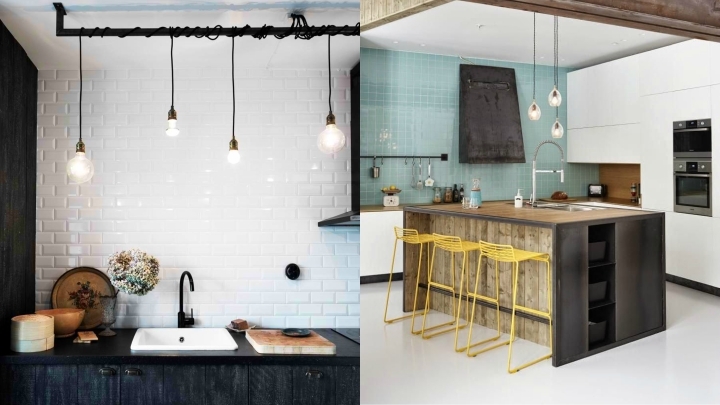 You want to discover these ideas to give a modern air to your kitchen? Here we tell you how you can do it. The lighting in the kitchen is very important, because it is a workplace where we need enough light to prepare our dishes with comfort and safety. You can include special lamps for their materials or design, or also bet by hanging bulbs for the most original decoration. In the main picture you’ve seen. 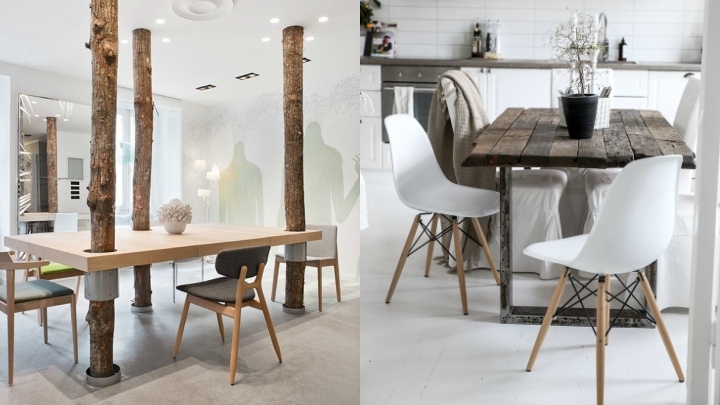 A different table can change your kitchen in an impressive way. You can make it from wood, materials and textures combine or take advantage if you have any column (or make them yourself!). It will become the focal point of the room and, besides being the place where you can meet with your family, give an original touch to the stay. This idea seems wonderful. It is the work of Levy Art & Architecture and involves placing a few swings to eat at the kitchen island. It is most fun for little kids even get to stay longer sitting … And certainly more than a larger also has a great time. We have seen in previous articles all the possibilities for decals. In the kitchen they are great; you can include dining phrases, texts, words or related food … And look at these two very original ideas that I show below drawings. So you’ll never be lonely while you are preparing the food … Do not you think they give a different touch to stay?